Today we’re really happy to announce a trio of brand new PS Vita games from our JAPAN Studio: Soul Sacrifice Delta, an expanded edition of last year’s acclaimed dark fantasy adventure; dystopian action RPG Freedom Wars; and stunning JRPG Oreshika: Tainted Bloodlines. 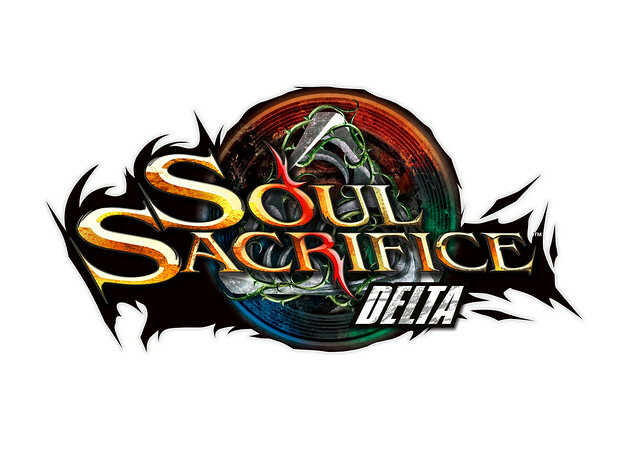 Soul Sacrifice Delta will be first to arrive on May 13th, and we’ll confirm more details around Oreshika: Tainted Bloodlines and Freedom Wars in the coming months. For now, I’ll hand over to the games’ respective producers to tell you more about each title. And then later today look out for an interview with JAPAN Studio chief Allan Becker. 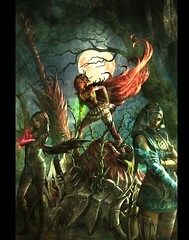 Soul Sacrifice Delta is the ultimate edition of Soul Sacrifice with tons of new content and improvements. Grim, the faction who believes in neutrality in all things, joins the blood thirsty Avalon and the merciful Sanctuary, and adds a third angle to bring the Delta in Soul Sacrifice. Grim’s beliefs, rooted in the prophecy they will seek to realise, will bring about irrevocable changes to the world as we know it. The concept of faction is now at the heart of the game with players able to join the side of their choice, each with their own strengths and play styles. Players from each faction can now register their overall progress. Soul Sacrifice Delta brings a lot of new content as well, with new Archfiends inspired by dark retellings of classic fairy tales, new sorcerers, arenas, spells and even more quests. We have also made many improvements to the game design and systems: the graphics engine has been optimized, some arenas are now dynamic with weather effects and structural changes during battle, the spells system has been refined and allows for more collaborative and deeper gameplay. We’ve also improved the AI of the Archfiends, who are now more vicious than ever. Finally, we’ve taken character customization to a new level, with the ability to mix custom parts and accessories. Save data from Soul sacrifice including story progression, costumes, offerings, sigils, black rites, life/soul essence and lacrima (up to 10,000) will carry over to Soul Sacrifice Delta! So, if you transfer your save data from Soul Sacrifice, the story progression will carry over and you can continue on with your adventure in Soul Sacrifice Delta. We’re excited to finally announce that Freedom Wars is coming to North America! Some of you may have caught wind of the team working on this title, but JAPAN Studio, Shift and Dimps have joined forces to create an action-packed RPG on PlayStation Vita! Freedom Wars is set in a dystopian world which harbors prisoners, each with a million-year sentence set from birth. You take on the role of a prisoner, forced to fight for your freedom by completing rescue missions that will reduce your seemingly insurmountable prison sentence. 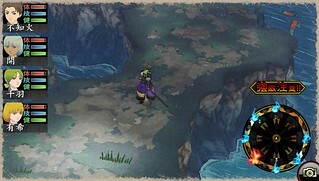 Next up we have Oreshika: Tainted Bloodlines which is one that you JRPG fans need to have on your radar. “What does ‘Oreshika’ mean?”, I hear you cry. Actually the full title in Japanese is ‘Ore no Shikabane wo Koete Yuke’ which means something along the lines of ‘Go Forth Over My Dead Body’. In case you haven’t guessed it by now it’s an RPG in which you take charge of an ancient Japanese clan that have been cursed with a maximum lifespan of just 2 years. Your task is to lead the clan on their quest to lift the curse and enlist the help of gods inspired by Japanese mythology to make sure each new generation of the clan is more powerful than the last. So excited for all three titles! Oreshika was a total surprise though. I expected the first two, but Oreshika was a real surprise. Very glad it’s coming over. The Vita is really taking a toll on my wallet this year. Love it! Sounds good. I liked Soul Sacrifice, but i wasn’t the most addicted to it as some other players were, but i will check it out the updated version. Fantastic lineup. I can’t wait! Any idea if these are receiving both physical & digital releases? Yeah Freedom Wars is coming over here, I knew it! We’re glad to hear that you are excited! *heavybreathing.jpeg* Guess I should really finish up Soul Sacrifice before Delta arrives. Like Sid and his ramblings of Dark Souls before 2 arrived in the blogcast (catching up). 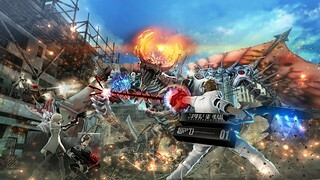 I just checked out the trailer for Freedom Wars, looks fun. 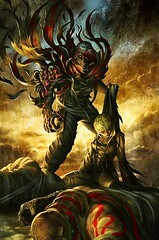 Is it like the other hack and slash RPG’s such as Phantasy Star Online and Ragnarok Odyssey? Vita definitely has more than enough Monster Hunter-type games. What it needs are some real AAA games from Capcom, Namco, etc. How about a resident evil game similar to the 3DS and then console ports? What about a true diablo clone, the vita has plenty of horsepower for a torchlight-type experience. Instead of off the wall JRPGs that will never sell, lets get Square Enix to make a Bravely Default/traditional FF game. Hell, it doesn’t have to be exclusive, it can be on 3DS as well. THANK YOU for voicing your interest! We’re glad to be able to release Freedom Wars in North America! Buying Oreshika: Tainted Bloodlines and Freedom wars day one, keep the localization coming! Now this is what I’m talking about! About time Sony focused on bringing us decent EXCLUSIVE 1st party content on the Vita. Not ports, remakes or indies. But actual exclusive retail games designed with the Vita in mind. Keep this up Sony, this is what the Vita truly needs to be successful. Now just officially announce Tales of Hearts R already! We know its coming with the recent leak. Just make it official! Fantastic, fantastic, and fantastic news! I can’t wait to get my hands on all of these. 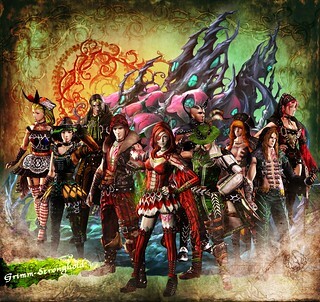 Regarding Soul Sacrifice: Will we be hearing more about how data carried over effects the game in the future? Oreshika: Tainted Bloodlines day 1 buy !!!!! So very excited for Freedom Wars. I’m getting a Vita when the new model comes out, and Freedom Wars is one of my most anticipated games. We can’t wait to get Freedom Wars in your hands! Go Forth Over My Dead Body is a better title than the one they settled on. Looks interesting no matter what it’s called anyway. And yeah, I’ve had my fill of Monster Hunter-type games, but I know others can’t get enough of them. Where’s a Dark Souls-esque RPG for the Vita? That’d be rad. We don’t have the exact release date yet but we will be releasing it in 2014. Please stay tuned as we will be releasing more information in the coming months! I can’t wait. Buy all of these! Sweet! All games that I was waiting to hear localization announcements for. I know these are all SCE games that have been announced for localization, but the next Vita games I *really* would like to see stateside are Phantasy Star Online 2 and God Eater 2. I hope we get to see a Soul Sacrifice video on how the graphics engine has improved, and the other updates, too. I just heard on another gaming news site that Soul Sacrifice Delta releases May 13 for NA. Aw go be a killjoy somewhere else. Anyway, hunting games have become something of a genre of their own now, and both of the ones announced here look to be very unique experiences. They’re hardly two more Monstee Hunter clones to toss on the nonexistent pile of already existing clones – all there is is arguably Toukiden for clones. As for “AAA” games? That seems to be less and less a descriptor of anything objective and more and more a wors for anything that people especially like. And isn’t the idea that Vita delivers games just as well as a PS3? I see no logic in that complaint – or most of what you’re saying, frankly. All Sony is doing here is bringing some games over. Bamco is supporting the Vita in Japan and Capcom is barely making new games at all right now, so I doubt handhelds are much of a priority. Be realistic here. Freedom Wars looks amazing. Looks like that is my next Vita game! I’ve been doubting your Vita support for months, but today, you’ve turned me around. Thanks for surprising me with so many great announcements that I can’t think straight. Confirmation of retail releases of these titles please? I know it may seem silly, but these days, you never know. And by “retail release” I mean “physical media”. YES! I WANT ALL 3! Now Sony…Final Fantasy TYPE 0 and Minecraft retail and PS Vita bundles! C’mon! So excited for Freedom Wars and Oreshika. 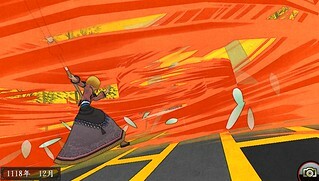 Now we just need some information on Gravity Rush 2…. Please retail for all three. Hello, I just came here to say that I love you guys at PlayStation. And that I’m still waiting for Gravity Rush 2. I think I’ll get Freedom Wars and Oreshika. SS Delta, hmm maybe if I’ve got spare money. 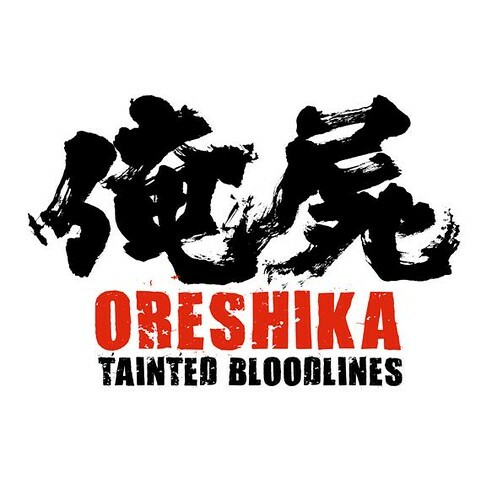 I’ve been stalking Oreshika: Tainted Bloodlines ( Over my dead bodies ) for a while now. It’s trailers are beautiful, I hope the gameplay can match it’s presentation. Wow!!! Just one thing can make it even better: be able to chose the original japanese voice acting. Make it happen please. Please keep the Oreshika 2 Japanese box art. make the limited edition if u want my money. 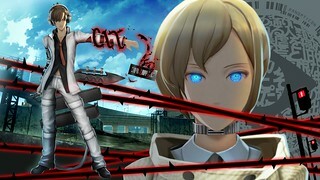 I hope Freedom wars is as good as I think its gonna be. As much as I love all of the indie love that Vita has received, I’m very excited to see three AAA Vita exclusives announced for the system. And developed/lovingly-crafted by Sony Japan Studios! What’s even more exciting is that these games were announced ahead of E3. Sony could’ve easily been shown during the Sony presser to highlight Vita games coming to the platform by the end of the year. The fact that you guys announced these strictly through the blog and other media outlets has me truly intrigued by what E3, Gamescom, and other trade shows hold for the PSVita. Well done! This great and all, but i have to ask.. .. Why is it that, NA & EU players have wait 4 to 6 months (some cases more then a year) for a Japanese game to be released in other languages that are npt Japanese or Chinese? Other Sony 1st party devs release their games in multiple languages on the same date (most cases the same week) , no problem. A lot of people would like to not import a game just so they can play with thier friends from japan.